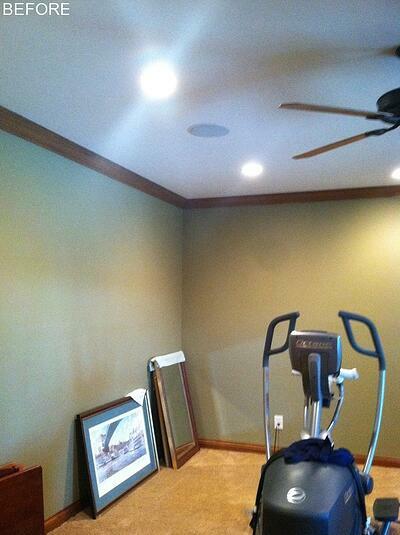 The large room in this Indian Hill lower level was a blank canvas for something amazing. 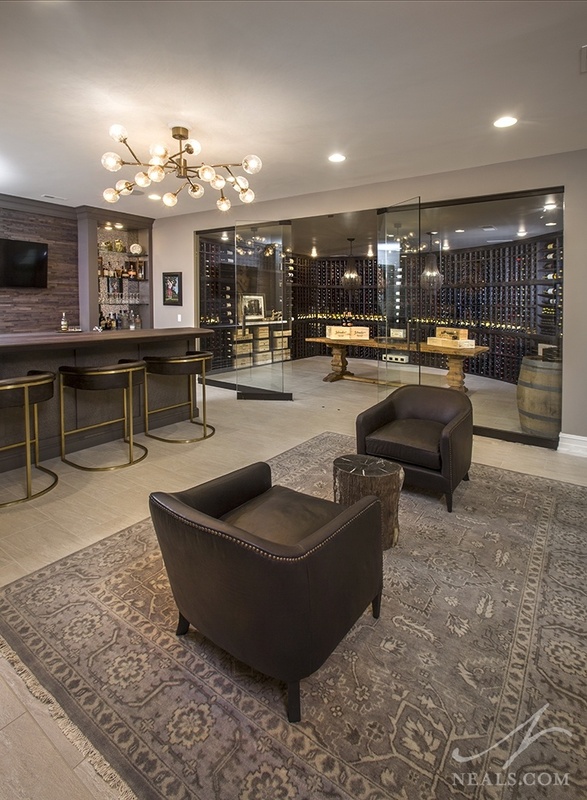 Since the room had a natural division due to a support beam in the ceiling, the space was divided into a full home bar and wine cellar combination. The wine cellar portion is a temperature controlled room behind a sleek glass wall. The two rooms together create a great area for entertaining, just as much as highlighting the homeowner's collection and tastes. For more photos from this project, click here. 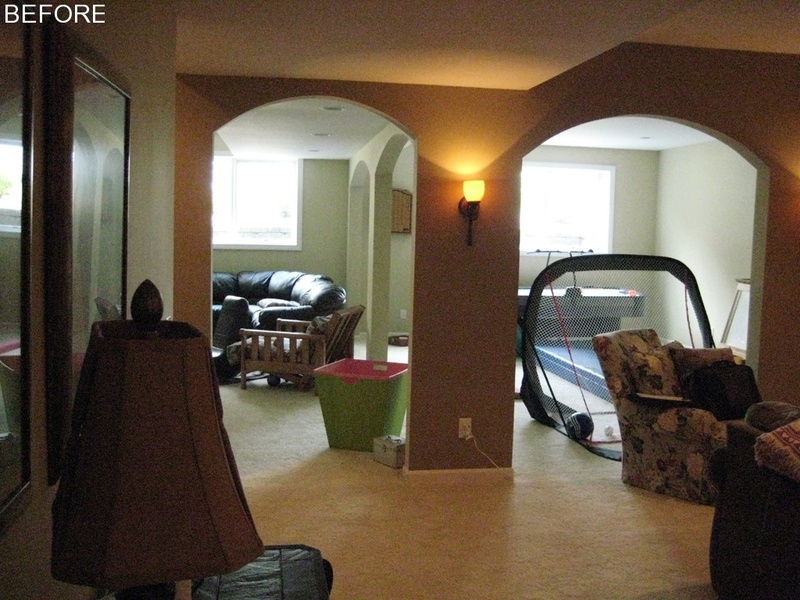 This Newtown lower level had a lot of space, but archways around the support columns visually filled the room without adding anything to it. 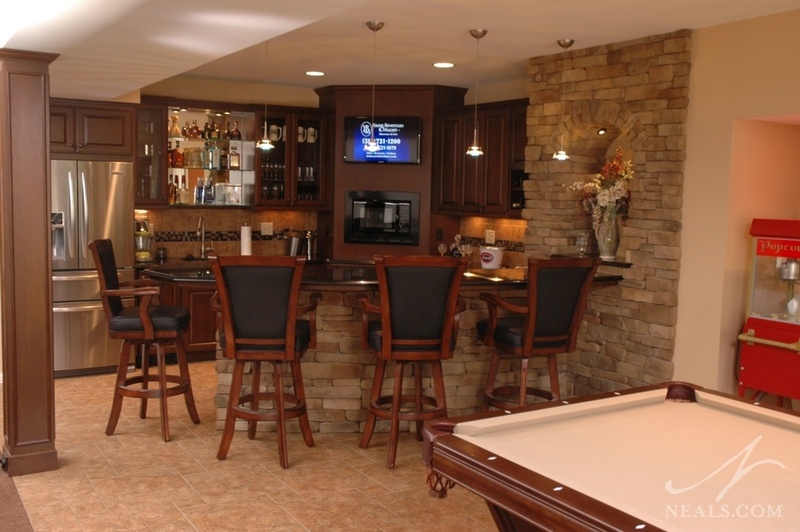 By rethinking the way each of the room's "pockets" of space related to each other, a new bar was installed that creates a much-needed hub in the basement where all the other family activities encircle. 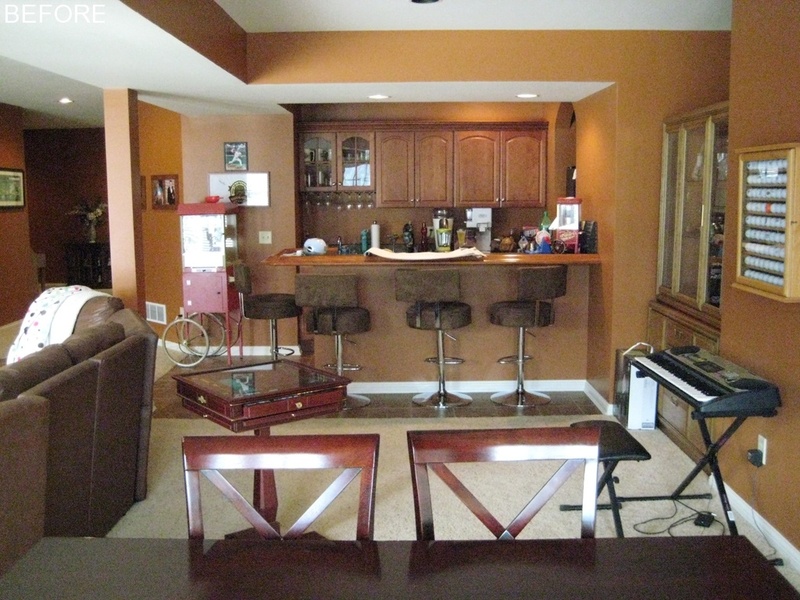 The lower level is now an open room with a more sophisticated style. For more images from this project, click here. 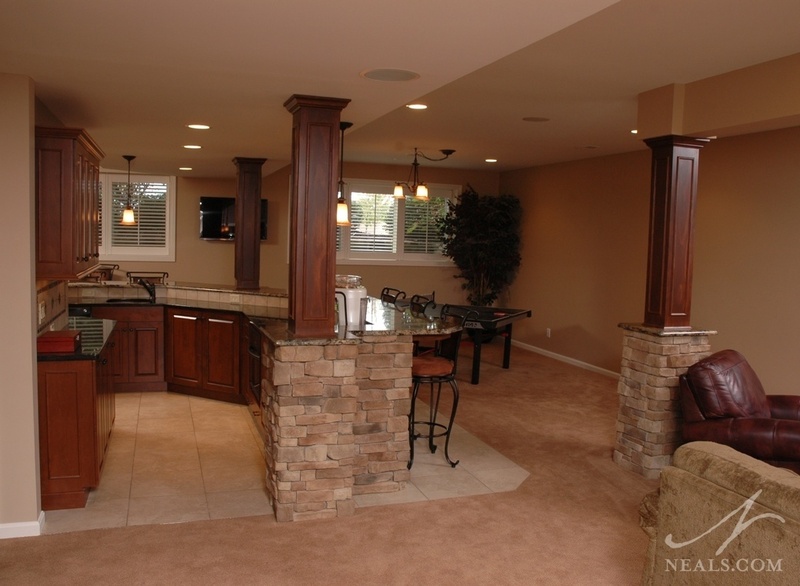 A lower level room with a large window in this Villa Hills, KY, home was a boring blank box. 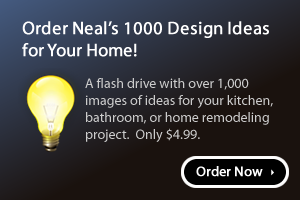 The homeowner's had always dreamed of converting an old barn into a cottage, so they looked to convert this room into a miniature version they could enjoy at any time. The entire room was clad in various reclaimed and repurposed wood to create the look and feel of a barn. 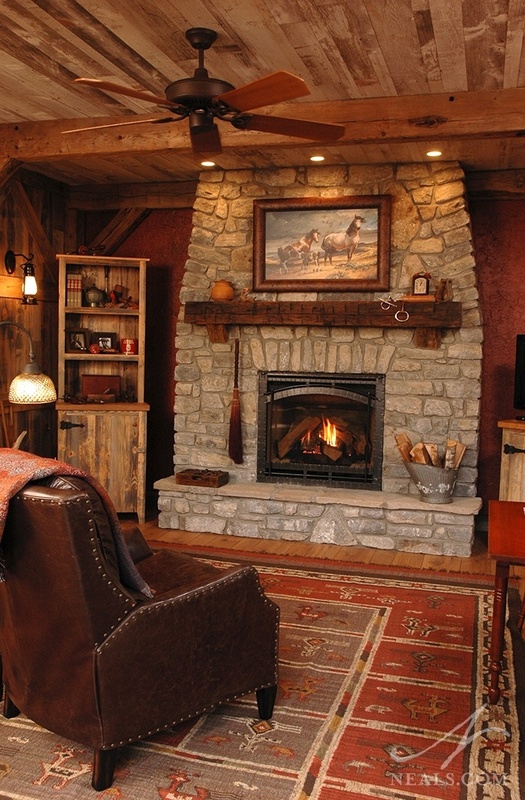 A stone fireplace at the end of the room helps create the cozy, inviting atmosphere the homeowners were looking for. The kitchen in this Maineville lower level had a lot of amenities for a basement kitchen, but lacked interest and style. 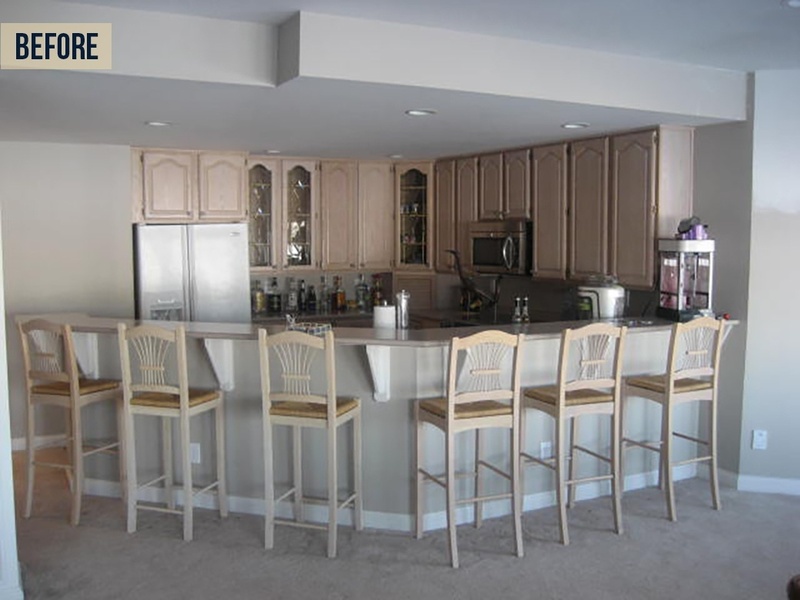 The update to this space started when the homeowner purchased a reclaimed bar with a lot of character and detail. The entire bar area was rearranged around the statement piece and designed with a pub theme in mind. Deeply stained cabinetry with just the right amount of distressing, stonework, and paneling all bring the new, statement-making space together. 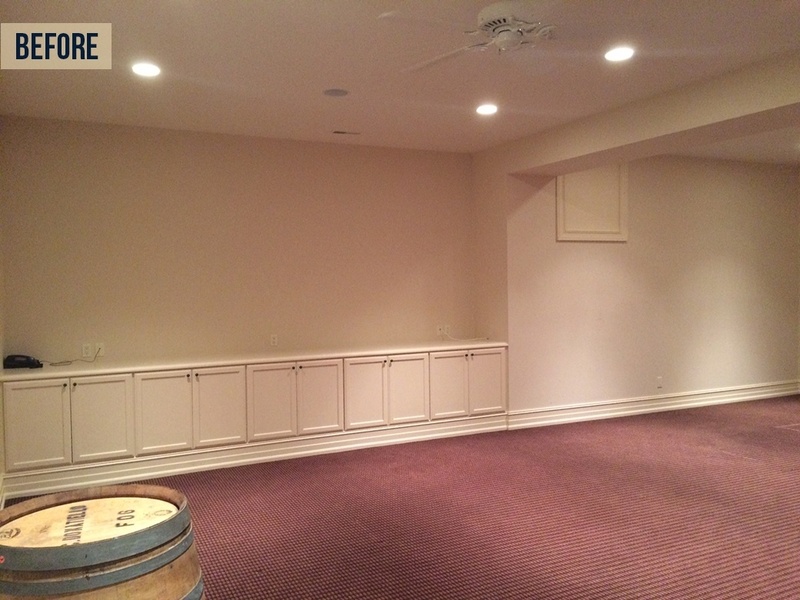 Similar to the other lower levels we featured above, this Covedale walkout basement needed an overhaul in style. The aim in this project was to create a space that made it easier for the entire family to hang out together or with friends, but also to give the small kitchenette an upgrade so that food and beverage needs could be handled with ease without having to go back upstairs. 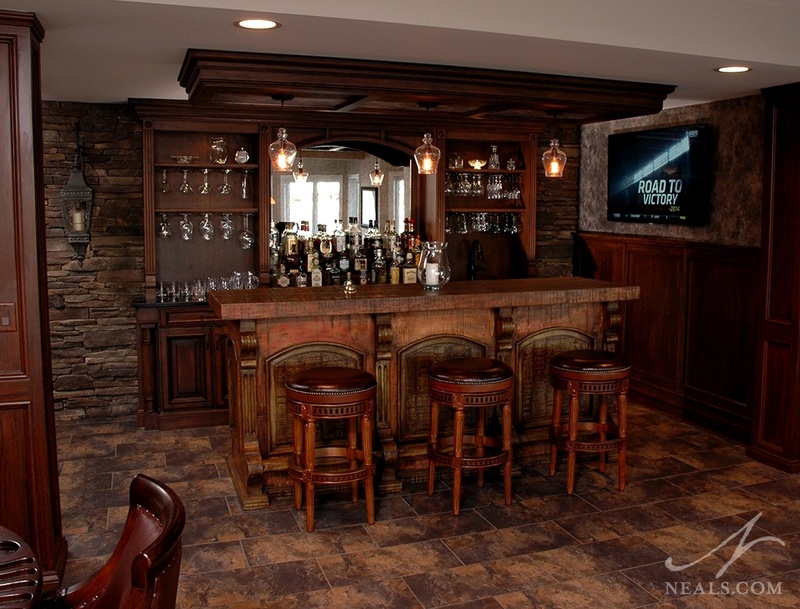 The new stone bar counter creates an ideal and interesting focal point to the new space.